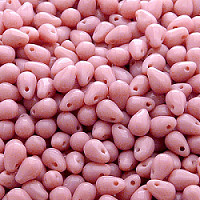 Glass Pressed Beads are one of the oldest types of beads. They are the embodiment of boundless human imagination in one of the most beautiful natural materials, traditional Bohemian glass. These were the first beads that were made here over three hundred years ago using the technique of pressing heated glass rods in a mould.